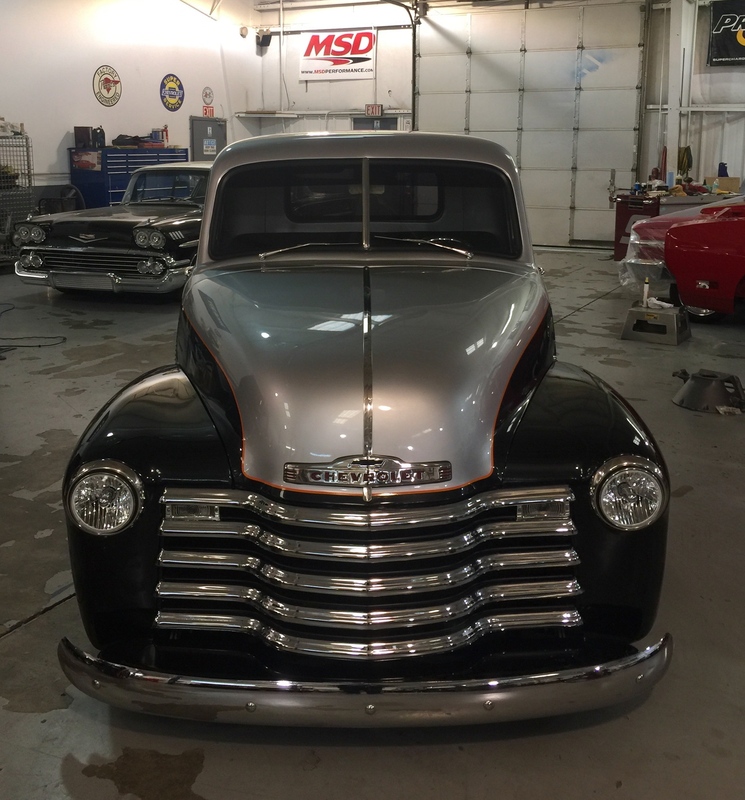 CLASSIC CAR PAINTING IN NC | Quarter Mile Muscle Inc.
Classic Car Painting in NC by Quarter Mile Muscle of Mooresville, North Carolina. Here Quarter Mile Muscle works with Hagerty insurance as their prefered Classic Car Restoration Facility. Here at QMM we use high quality PPG paint products and we offer a warranty for our complete paint jobs. We have a large down draft paint booth that is clean and very bright. Our talented painters have been crafting their art for many years and this experience shows through with each paint job we do. There are many things to consider when choosing a restoration shop to repaint your old classic car or truck. One question is are they qualified to work on your classic or do they really specialize in day to day collision work? What sort of a warranty are shops offering for the level of paint work you are looking for? Here at Quarter Mile Muscle we prefer to paint projects from bare metal on up to final paint. Although we do repaints with out stripping the vehicle down as well, it just depends on the level of paint quality our client is looking for.We use high end primers and take the time to let them cure out. It's not about how many paint jobs you do as to how many you take the time to do well. We want our paint jobs to speak for themselves and all the hard work we put into them will shine through. Classic Car Painting in NC - The old saying "You get what you pay for" really does apply for Custom Paint work done right. Some paint jobs other shops do may look ok for a year or two but after the cheap clear has worn thin so will your nice paint job. Here at QMM we use high end PPG clears with UV protection built in. We do mix our own paint on-site and can tint most colors to match other paint jobs. We use many coats of clear on our high end projects. We do complete color changes which include door jambs, back side of doors, hood and truck lid. We can do more areas if the engine bay needs painted or the entire bottom side needs to be freshend up. We do custom painting on accent parts and install them if needed. From large projects to small projects we have the Custom Paint shop to handle it. Classic Car Painting in NC - From Show Cars to daily drivers we paint them all. If you have a good plan with a great shop your project will turn out spectacular. For our show quality paint jobs we buff the last clear coat to a very high luster. Are you wanting your ride to stand out from the rest, then you need to take your project to our facility here in North Carolina where we can complete it as you like. Classic Car Painting in NC - Here at Quarter Mile Muscle we will keep you in the loop as much as you need through out your Custom Paint project. We take pictures during each cars process through our body shop and then into the final paint area. We have done complex paint jobs to camouflage customs. We do offer free estimates and can only accurately quote paint jobs after your car is here on site.